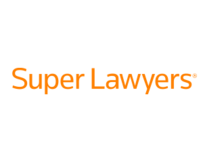 Super Lawyers New York Metro 2018 named eleven of our attorneys in the "Super Lawyers" list: -- William M. Borchard, Kieran G, Doyle, Lynn S. Fruchter and Mark Montague in the Intellectual Property practice area; Richard Dannay, J. Christopher Jensen, Mary L. Kevlin, Jonathan Z. King, and Richard S. Mandel in the Intellectual Property Litigation practice area; and Ronald W. Meister in the Business Litigation practice area; and Robert J. Giordanella in the Estate Planning and Probate area. Super Lawyers New York Metro 2018 also named seven of our attorneys in the "Rising Stars" list: Robert J. English, George Sciarrino, Brian R. Volk and Anastasia Zhadina in the Intellectual Property area. See more Honors & Rankings.